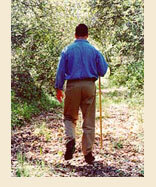 Though (Napa Valley doctor), Dr. Daniel E. Andrews III has many accomplishments, perhaps his most notable achievement is when he used his sophisticated knowledge of the human body combined with his lifelong study and passion for the martial arts to create the highly effective Martial art known as Pinewood. Dr. Andrews is uniquely qualified to produce this complete martial art that encompasses many components frequently absent from today's fighting arts. Pinewood is a complete martial art which includes blocks, hand strikes, kicks, joint locks, throws and ground fighting. In addition to these techniques, Pinewood offers higher levels of training which include Yoga, nutrition, massage and healing techniques. The highest form of the martial arts is to become a Black Belt Healer which combines all of the aforementioned components. 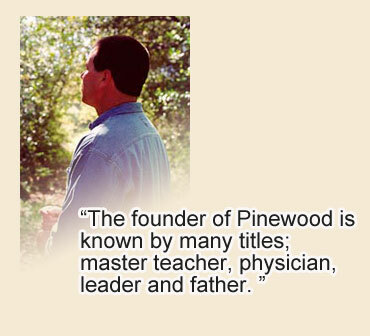 The founder of Pinewood is known by many titles - master teacher, physician, leader and father. Over a period of many years, Dr. Andrews had the opportunity to train with teachers of different styles. Dr. Andrews founded Pinewood in 1989 at the recommendation of his principle teacher Don Buck, Hanshi. In 1992, Mas Oyama awarded Dr. Andrews a master's teaching credential. 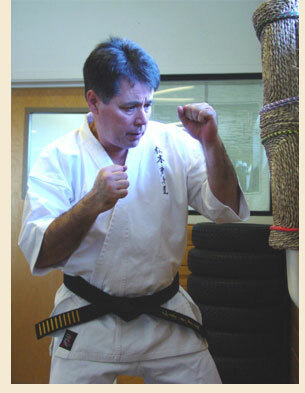 Dr. Andrews feels it is his responsibility to pass on the traditional karate way. Pinewood has a direct, unbroken link to the ancient masters. To learn more of the lineage of Dr. Andrews and his teachers, visit the Pinewood Lineage page. In addition to caring for patients in his medical practice, The Heart and Health Center, Dr. Andrews has developed specialized classes for patients in cardiac rehabilitation and senior exercise. He and his wife Laurie have also created a restorative yoga program taught at Pinewood. In 1999, they founded the Napa Valley School of Massage to teach restorative healing techniques. Besides board certification in cardiology and internal medicine, Dr. Andrews holds an acupressure certificate from the Hong Kong Naturopathy Association which was awarded to him by his teacher Don Buck. Seifukujitsu techniques are utilized at the Heart and Health Center in caring for patients. Dr. and Mrs. Andrews have four children. Megan, Averyl, Lauren and Dan IV are all black belts in the Pinewood system. Dr. Andrews' knowledge of Western and Oriental Medicine with his extensive background in the martial arts provides students with a full understanding of ancient karate-do. The mission of Dr. Andrews is to train the next generation of master teachers in the way, to certify them, to share knowledge with others and to provide leadership to the current generation of martial artists. Dr. Andrews practicing his strikes. 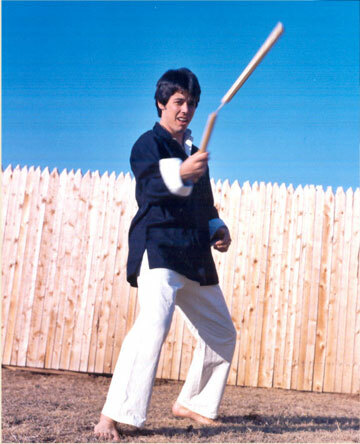 Dr. Andrews training as a young man. 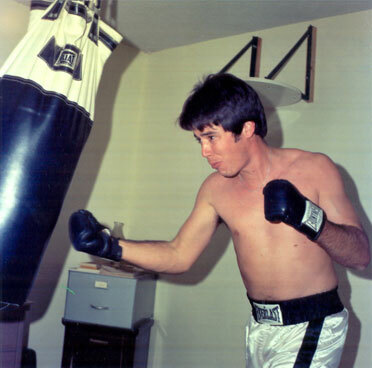 Dr. Andrews in Mexico as a young man hitting the punching bag.